Are you planning for explosive sales this year through an effective, organized Internet marketing campaign or are you maintaining your status quo and hoping for the best? A planned, organized Internet marketing campaign with rotation through a variety of targeted sites, directories and venues is not hard to coordinate, does not need to cost a great deal of money and can generate traffic and sales faster than search engine submissions alone. It takes a bit of research and a solid knowledge of your target customer, but you can plan and implement a simple marketing campaign in the space of a dedicated day. A Five Step Marketing Plan follows, created by in the trenches experience with Internet marketing for small business. By doing each of the actions, you’ll end up with an effective holiday marketing campaign, creating a marketing plan that can be implemented immediately and begin reaping you sales successes. Defining your customer is as important as defining your products or naming your business. If you have not yet done a marketing plan within your business plan, then you need to do this exercise. If you already have this in your business plan, you can skip ahead to Step 2. Action: Answer these questions as honestly as you can. In other words, don’t project your expectations or hopes on them. What is your perfect, solid customer really like? Action: Create a spreadsheet or document that you will enter in all the sites and venues that are a consideration in your Internet marketing campaign. You can find a free version of a spreadsheet file called the “Ad Planning Guide” to help you get started at Under the Awning and look under “Gifts & Specials”. While some folks think this should be the first step, realistically you can better create the budget for your marketing plan when you have a good idea of the costs involved. That can only be done once you ve figured out your targets. You probably already have a figure in mind of how much you can really spend, so go back to your marketing campaign sheet and total up the costs of all the ad spots you d like to do. Remember, as the ads start to pull in results you can always go back and expand your marketing campaign from that holding list. Action: Create a text ad for each item in your Internet marketing campaign, making sure to hit at least one to three prime keywords in the text. Text ads typically run 60 characters wide by 3, 5, 7 or 10 lines long. Tracking tricks include using specific coupon or sales codes for each ad placement, setting up separate entry pages on your site for each ad, and utilizing a service that helps track activity. For example, a mall directory like Under the Awning gives you performance stats on your product listings. There are advertising management services that help you to track ad performance, such as Google’s Doubleclick for Publishers or phpAdsNew, both of which are free services that is relatively easy to implement and give powerful ad tracking management and support. Action: On a daily basis for the first two weeks, review the results of your various ads. Write them up in your tracking sheet and look for any trends or patterns. Which ones are performing, where and why? If some aren’t working, replace them with others that are or try another from your hold list. Once you settle into a pattern of review and ad management you’ll know better how often you need to monitor your marketing campaigns. 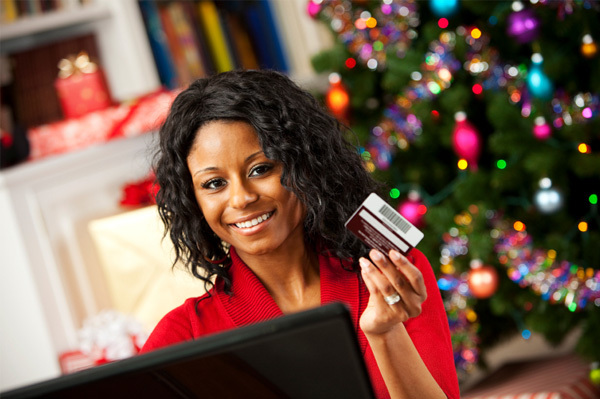 Successful holiday Internet marketing campaigns are within the reach of any business, no matter what your budget. By following these basic marketing plan steps and committing to the follow-through, you can create a cost effective marketing campaign with a substantial return on investment. Good sales to you this year! Paula Polman has been in online retail since 2000 and is the owner of several online retail sites including Mossberry Hollow Living and Herbal Hugs Natural Thermal Therapy.